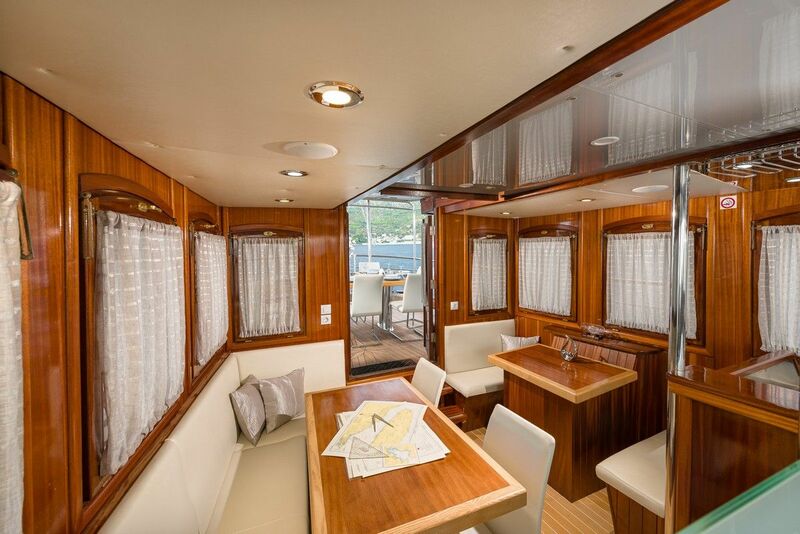 renovation-2017.year, power engine-260 HP, power big generator-28 Kw, power small generator-8 Kw, lenght-25 m, beam-6,20 m, water storage-6000 liter, amount of fuel-2000 liter, draft-220 cm. 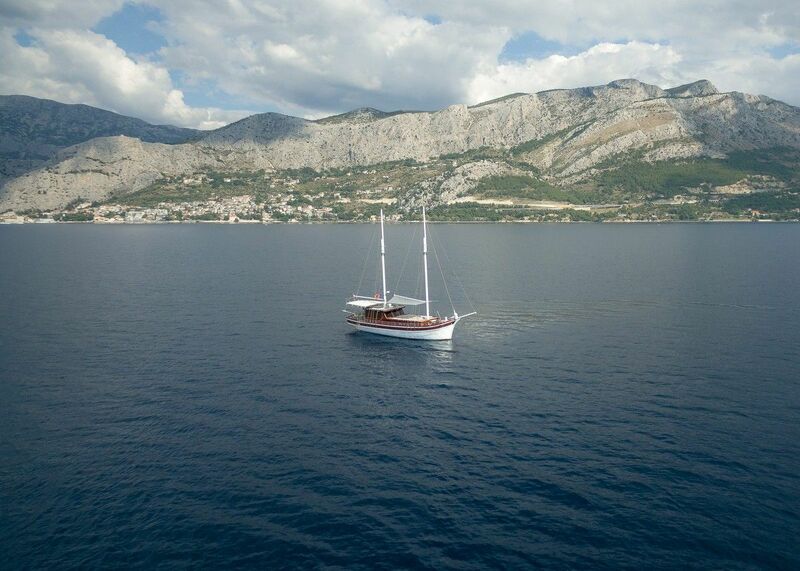 tv, wi-fi, radio, navigation, air conditioner, jet ski, dinghy, ringo, kayak and waterski. 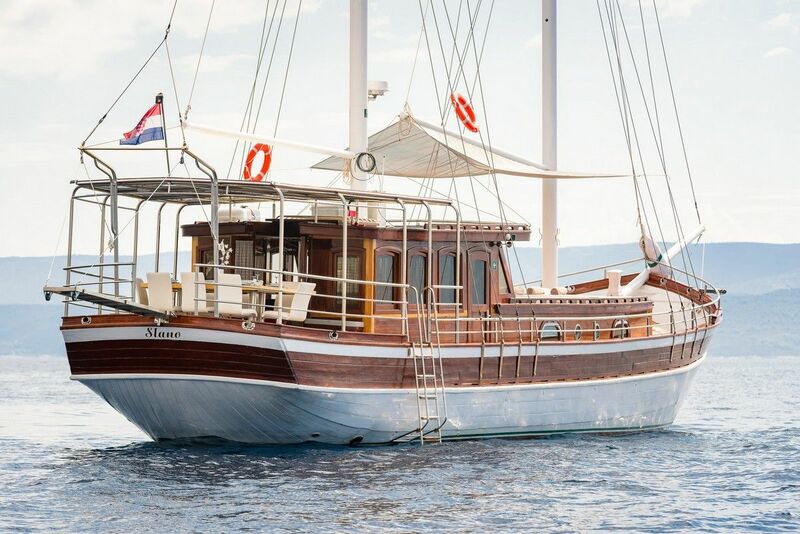 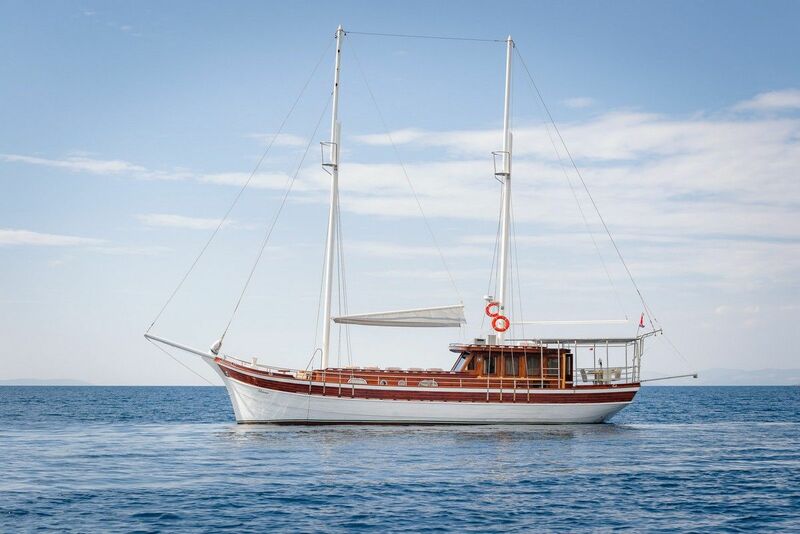 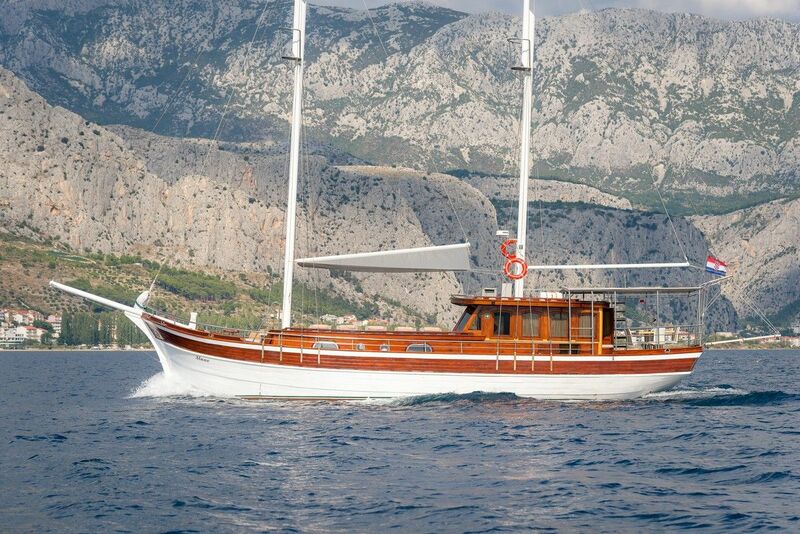 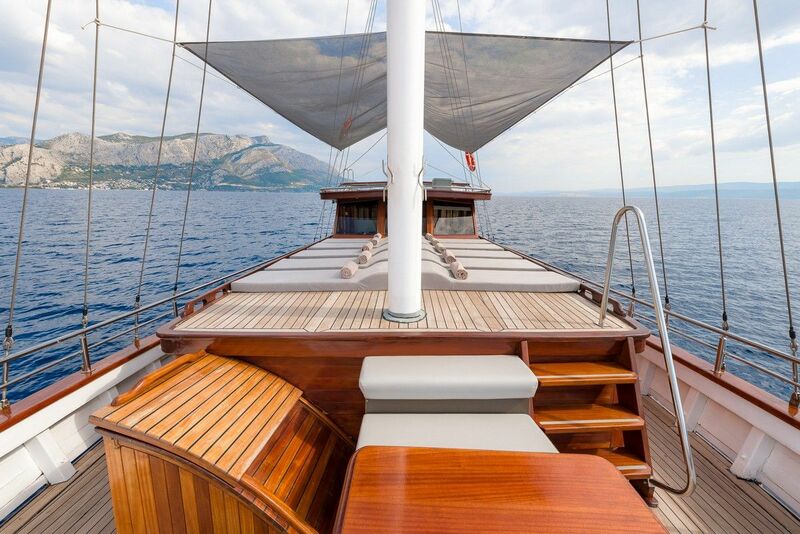 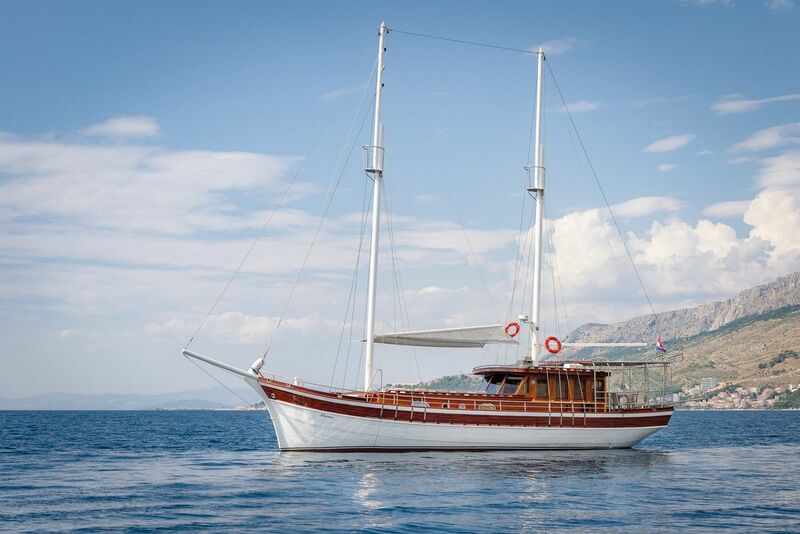 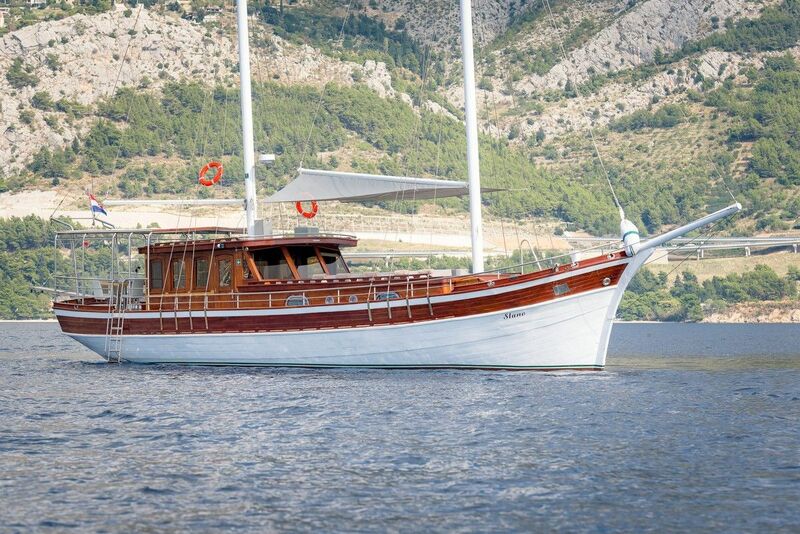 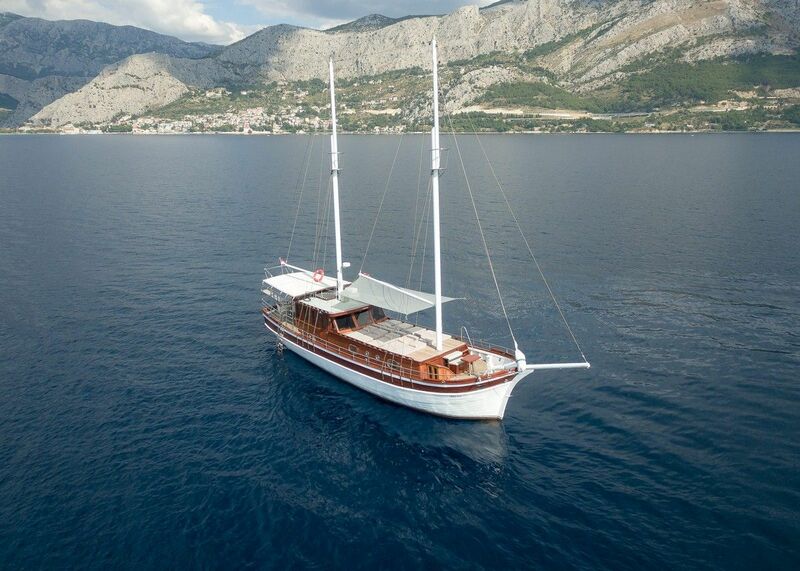 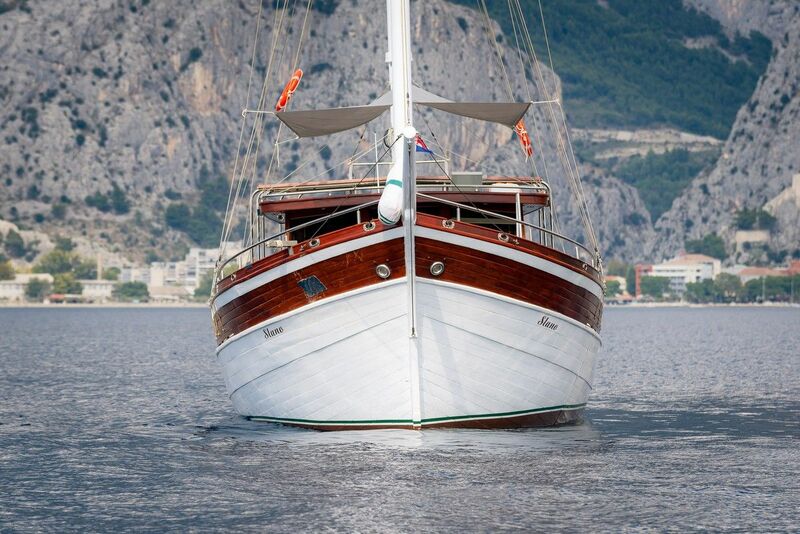 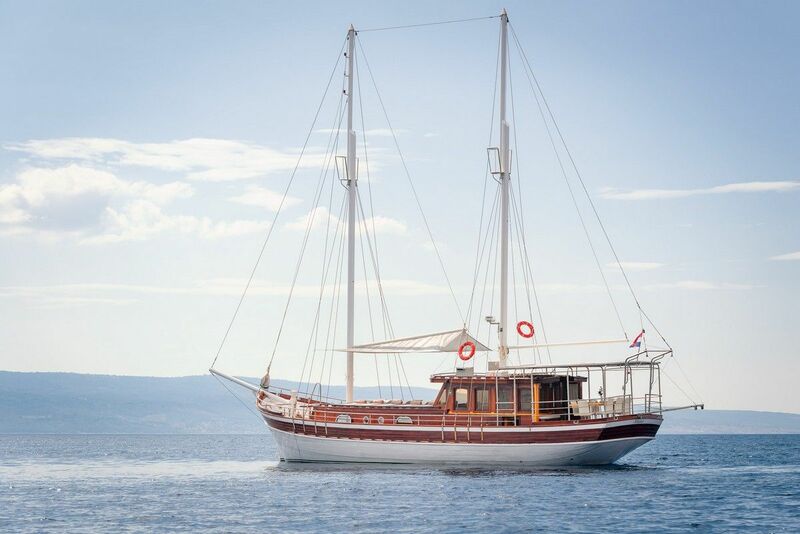 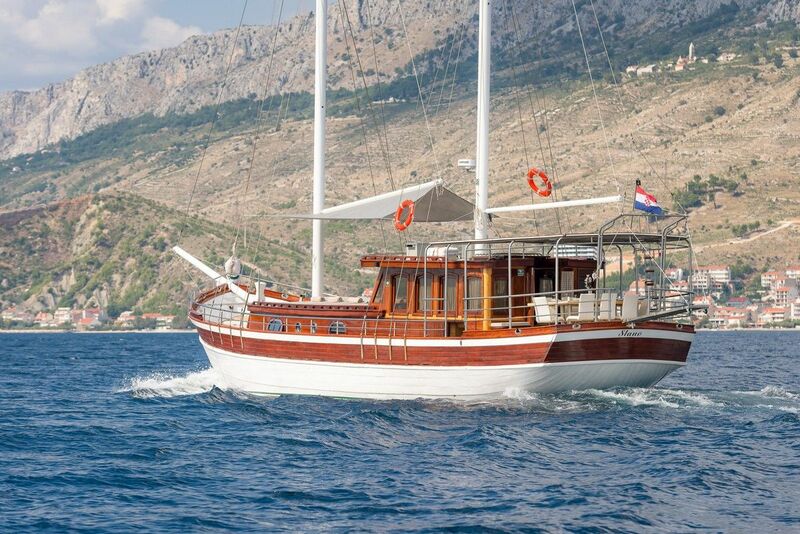 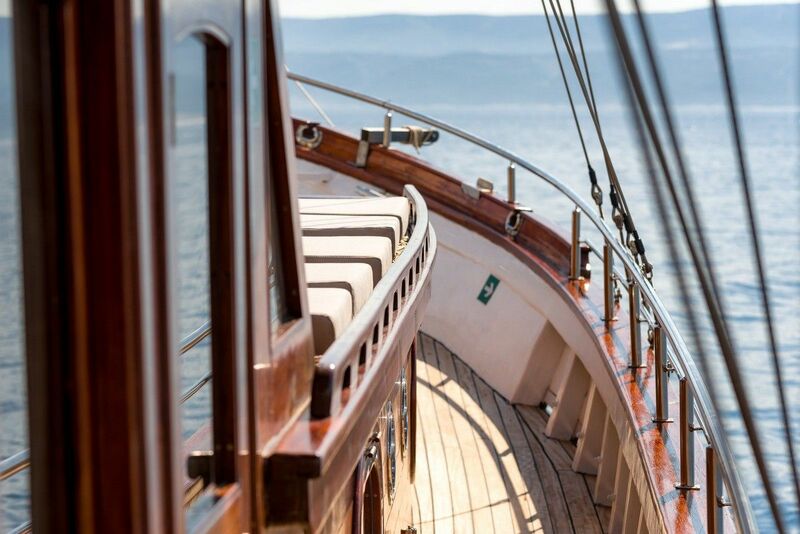 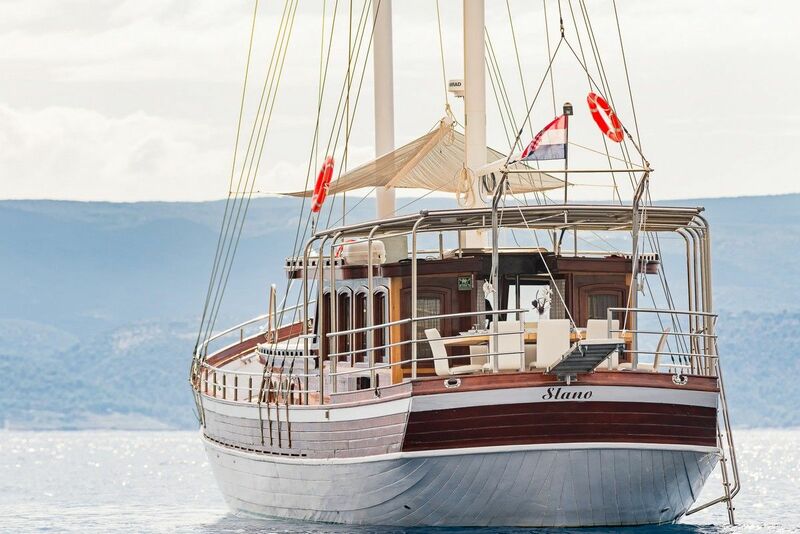 The boat is a traditional Croatian sailing boat. 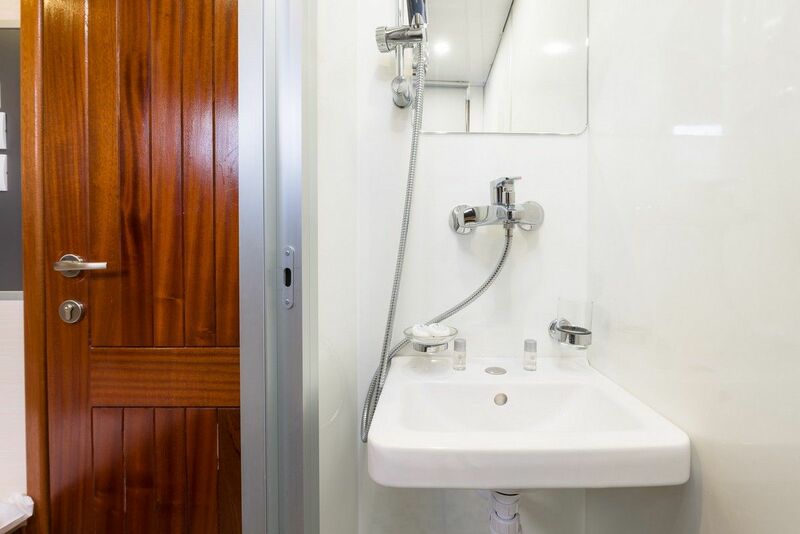 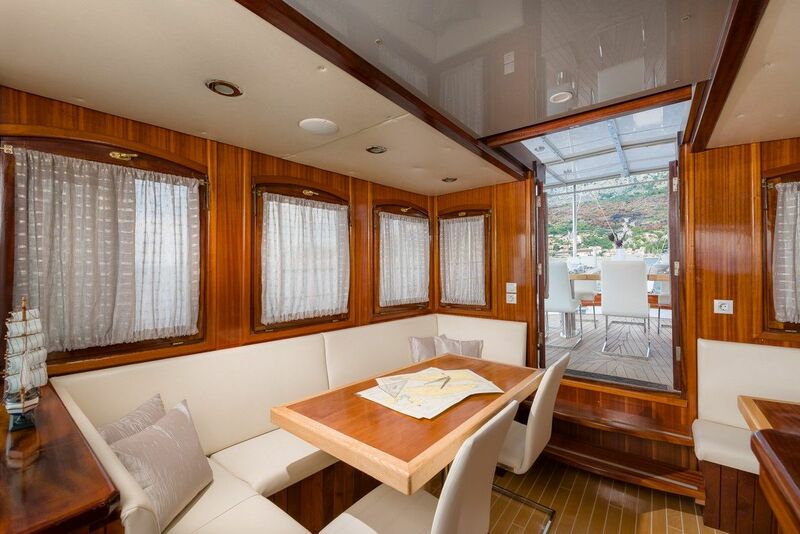 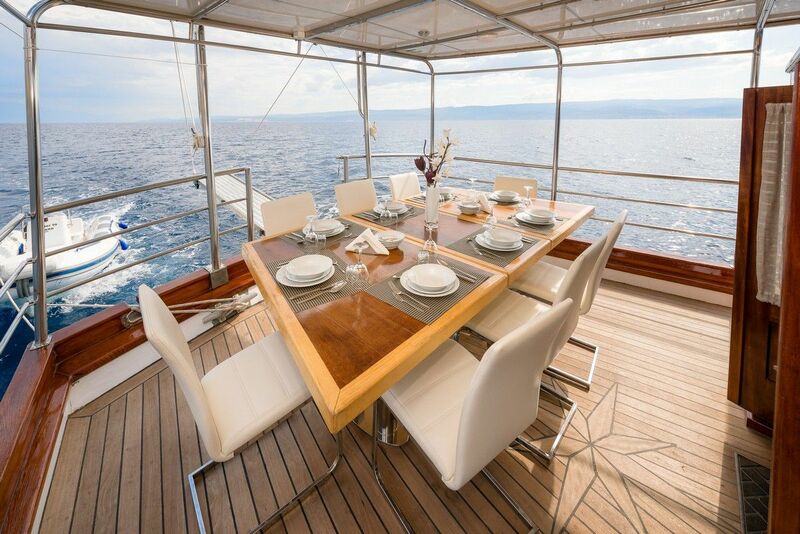 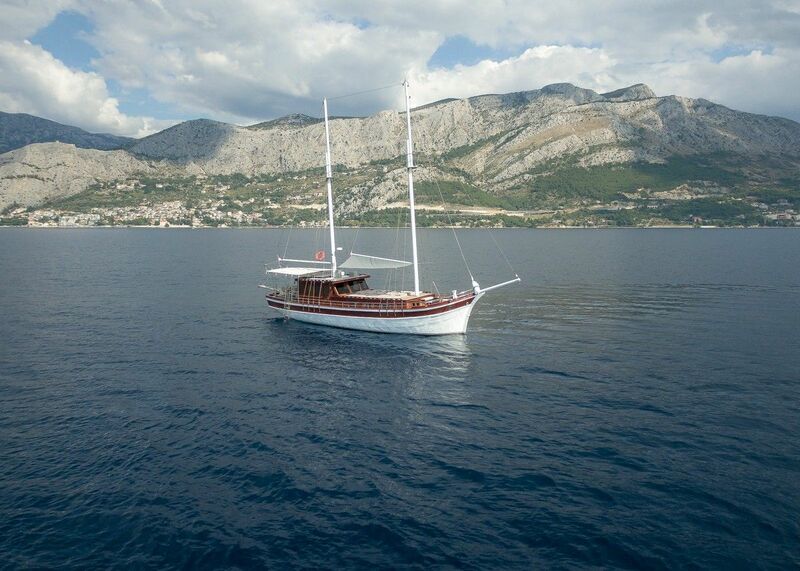 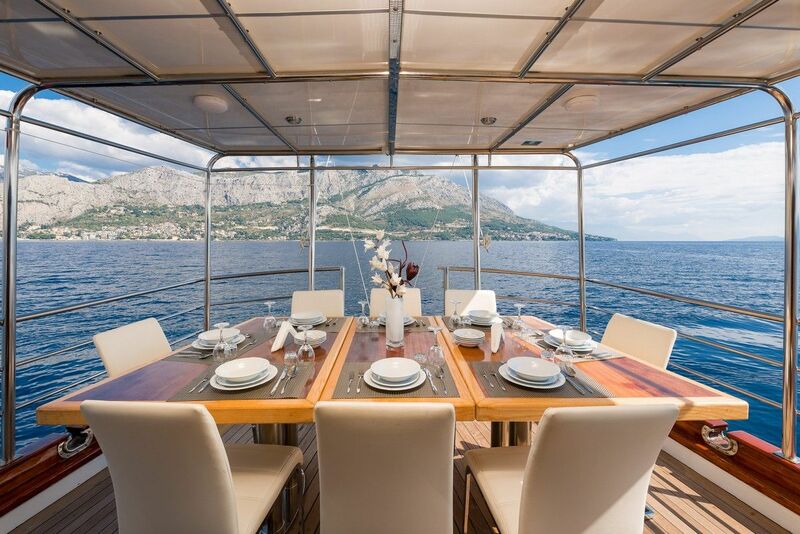 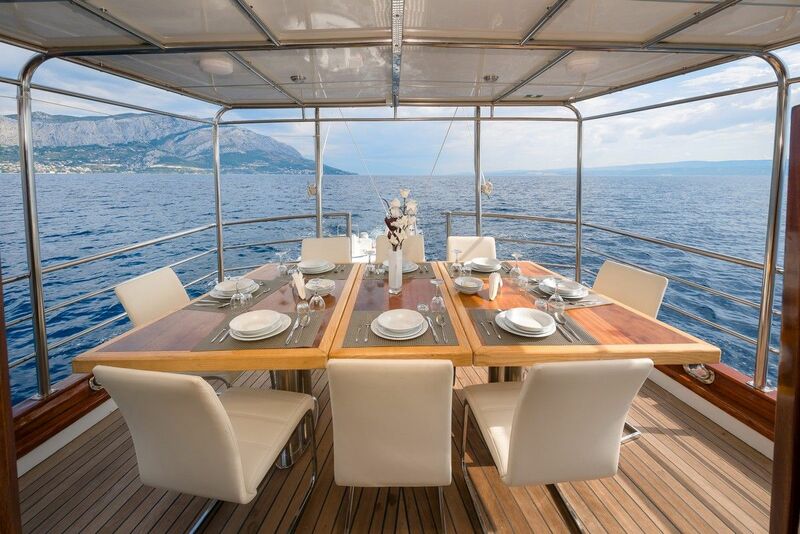 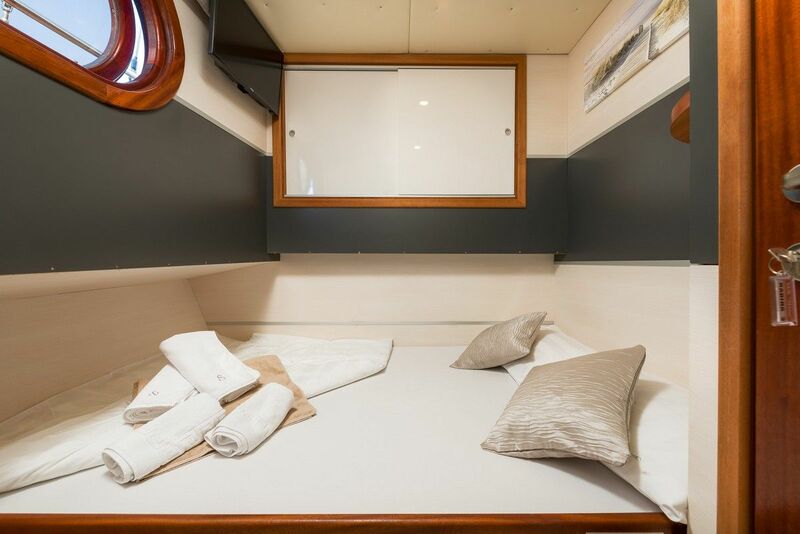 It is rented with a professional crew consisting of captain, sailor, chef and waiter. 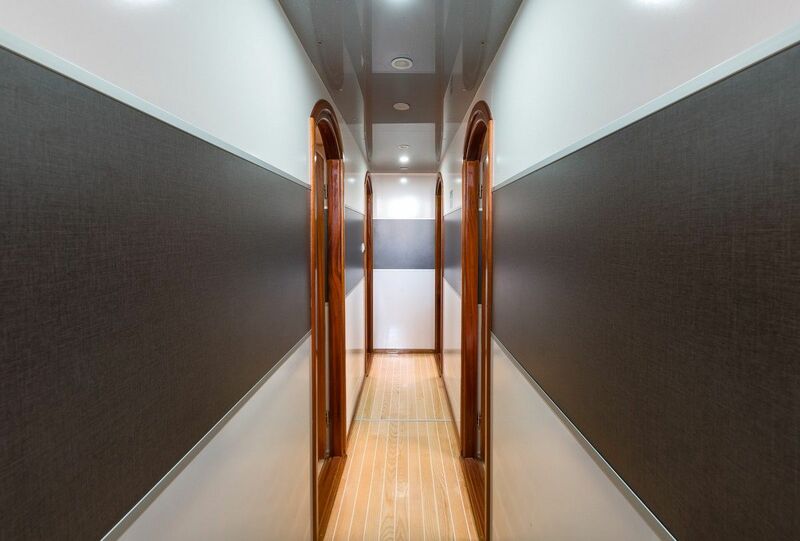 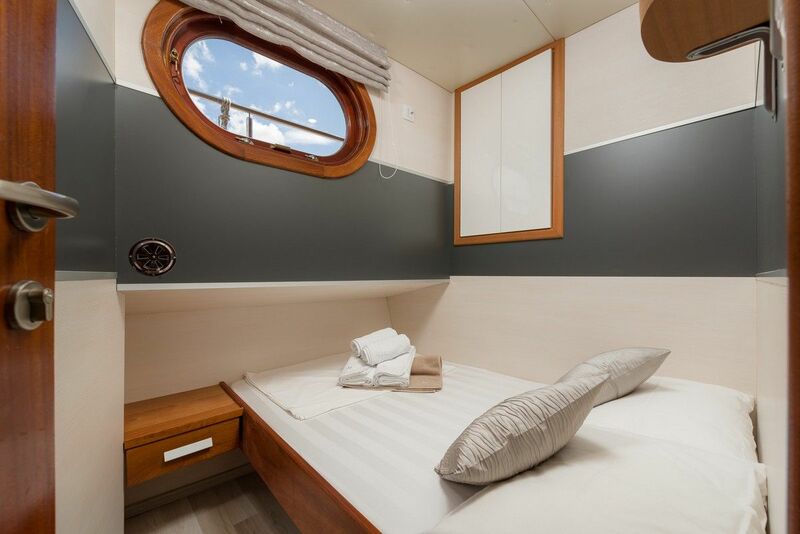 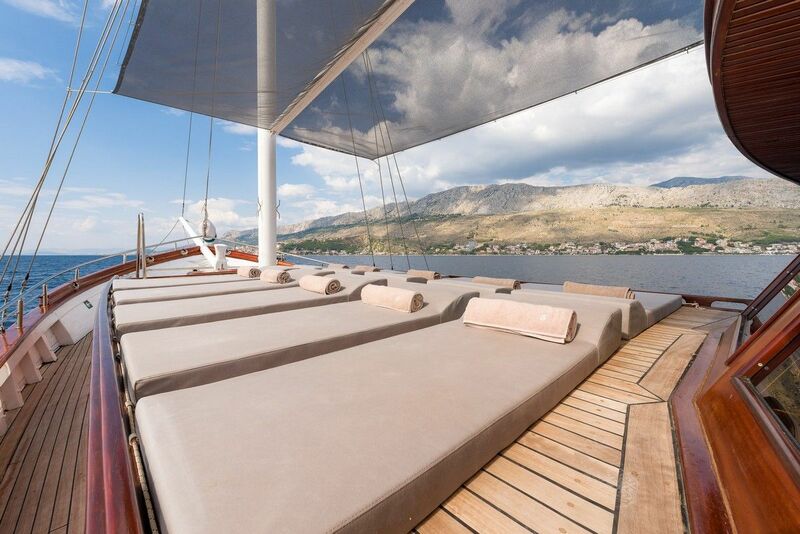 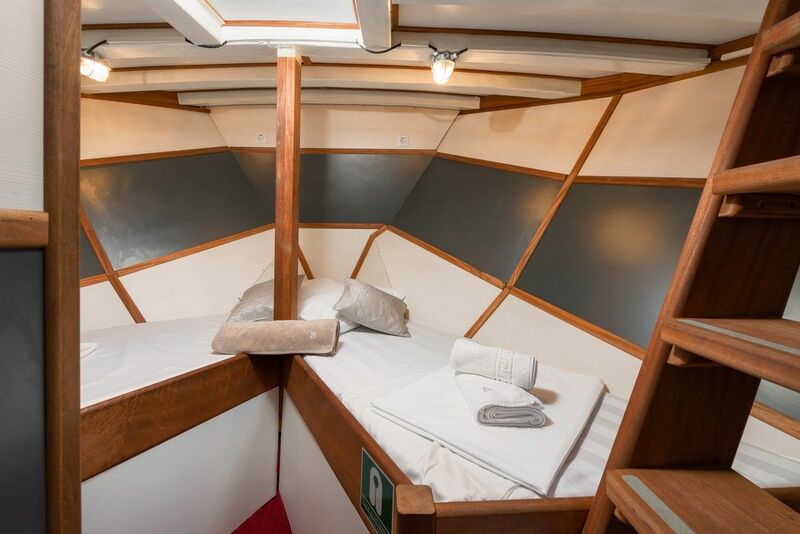 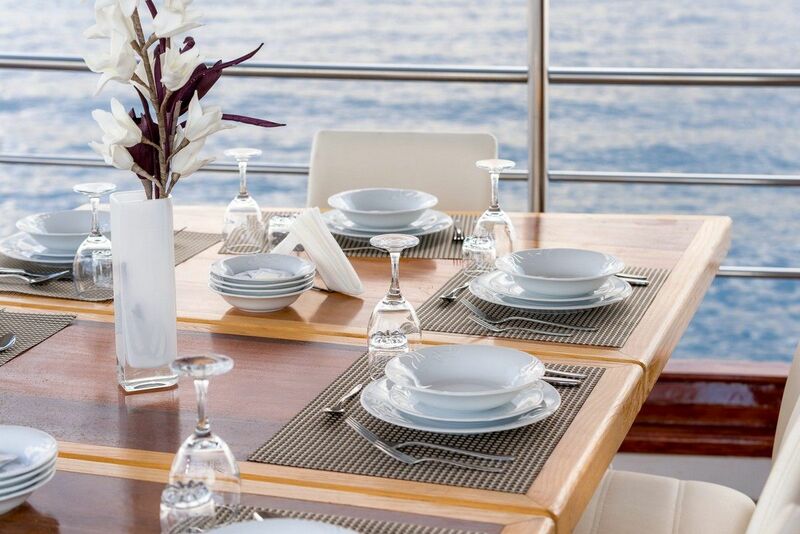 The ship can accommodate a maximum of 10 guests. 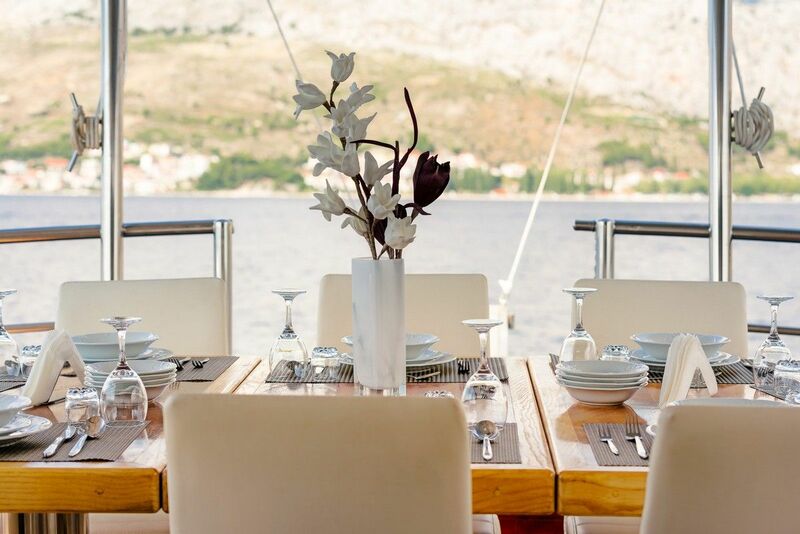 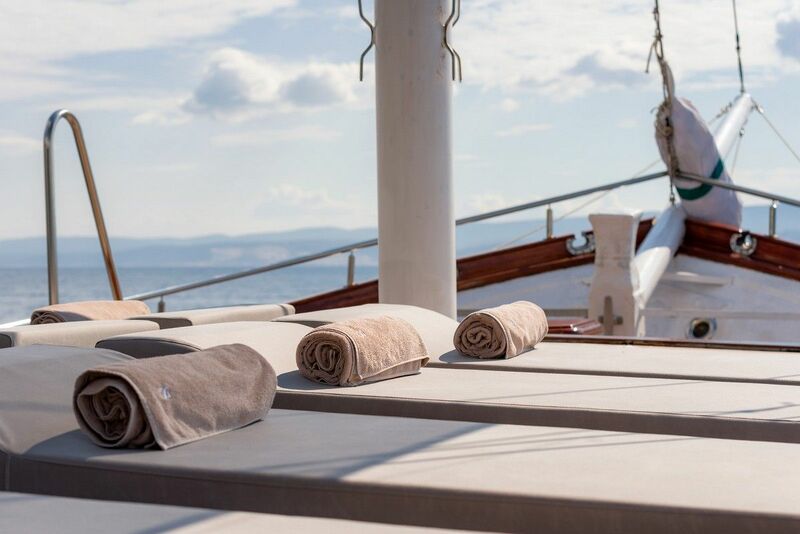 The cruise lasts 7 days, the guests can choose the route they want to sail, and if they don't have a prediction, they suggest their basic route. 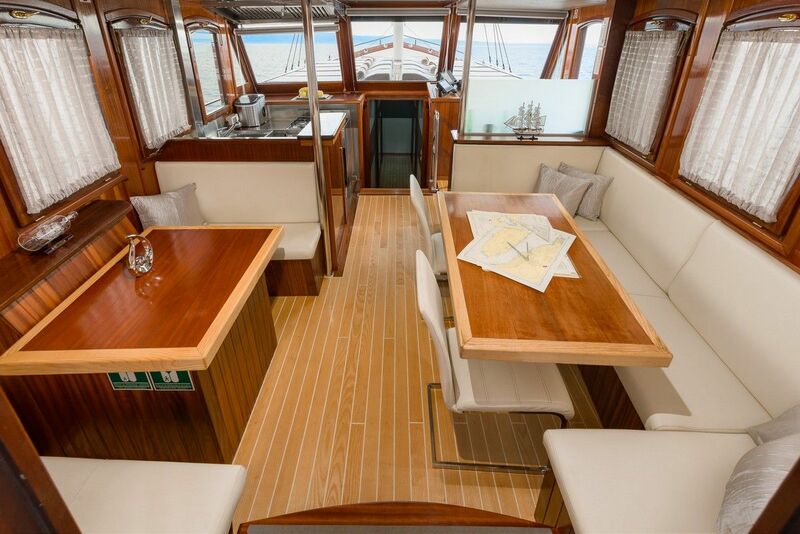 Everything was done professionally with GPS, maps and pictures to information them where they are going. 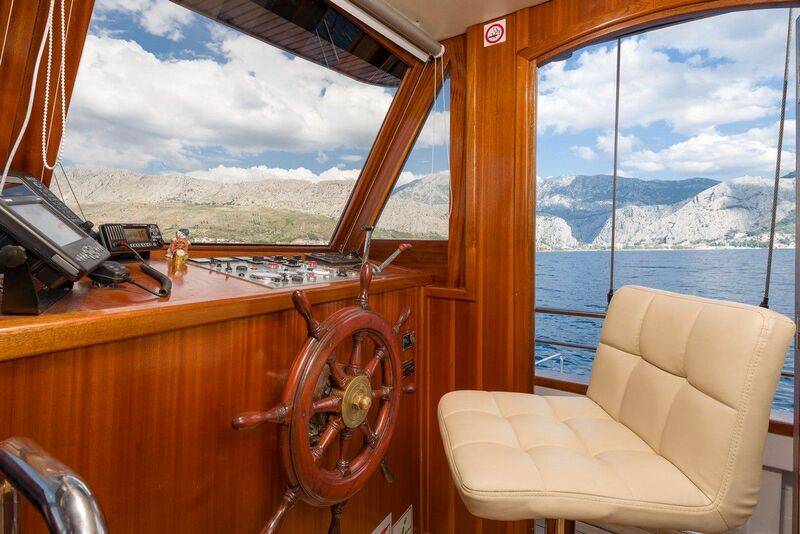 The price includes 30 hours of navigation or 4 hours of navigation per day.